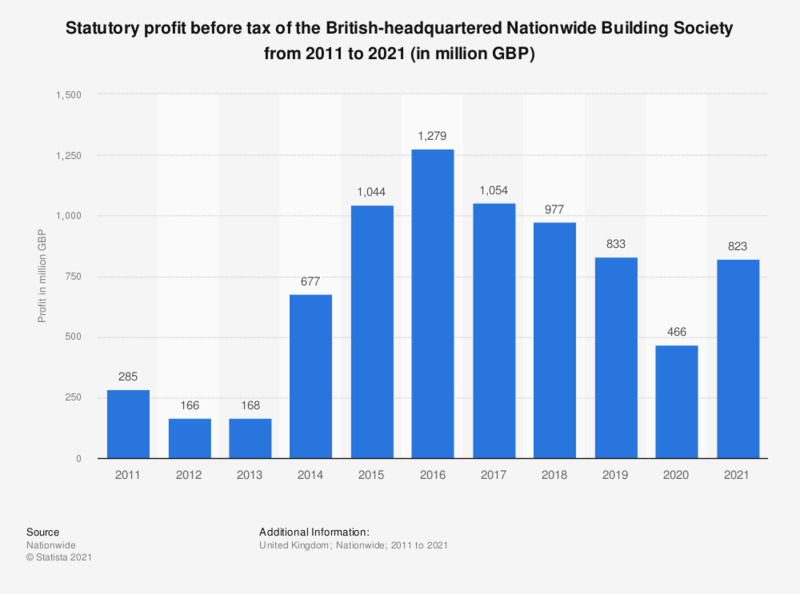 This statistic illustrates the statutory profit before tax of the UK-headquartered Nationwide Building Society in their financial years from 2011 to 2018. It can be seen that the statutory profit for Nationwide increased overall during the period under observation, reaching a value of approximately 977 million British pounds as of 2018. The largest statutory profit before tax for Nationwide was found in 2016, when a profit of almost 1.3 billion British pounds was recorded. The results show the financial year ending in April respectively in each year.